SmartLabs is a leading provider of software solutions for interactive TV. Our client decided to implement a vertical business diversification strategy and create his own set-top box so not to depend on equipment manufacturers. 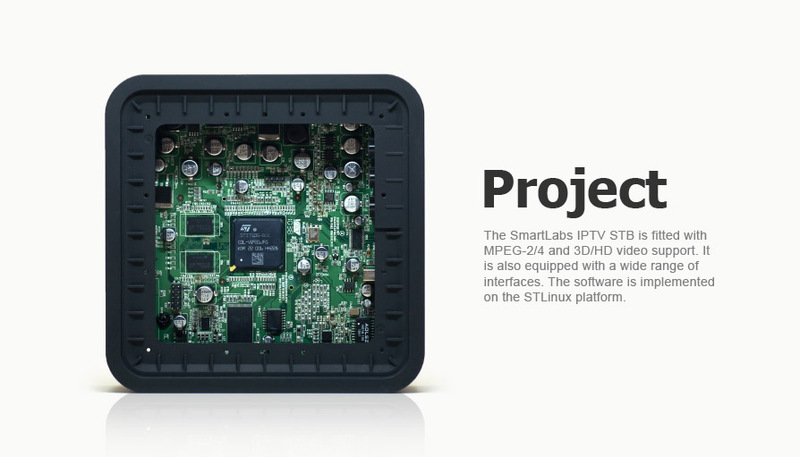 SmartLabs had no experience in hardware design, that is why they chose Promwad as a technology partner with expertise and a trustworthy portfolio with projects for the DTV & broadcasting market. We have developed a model range of IPTV set-top boxes, implemented support for MPEG-2/4 and ЗD/НD video, ensured license coverage for all the proprietary coding standards for audio and video. It was a turnkey project that involved hardware design, development of Linux based software, enclosure and mechanical design, mass production support. As a result, our client has become one of the international leaders in the IPTV solutions market. In the year of the project completion, SmartLabs won the $50 million contract with the largest telecom operator in Eastern Europe. Their IPTV devices and software solutions were installed for two million subscribers. The devices designed by our engineers —SML-282 Base and SML-292 Premium — were used as the basis for IPTV services by Eastern European companies and Spanish operator Bona Netto. Later we designed for SmartLabs a hybrid STB and adapted it to mass production in collaboration with Art. Lebedev Studio. "In just 4 months, a working prototype was ready, and after 10 months we reached production volumes of tens of thousands of units. 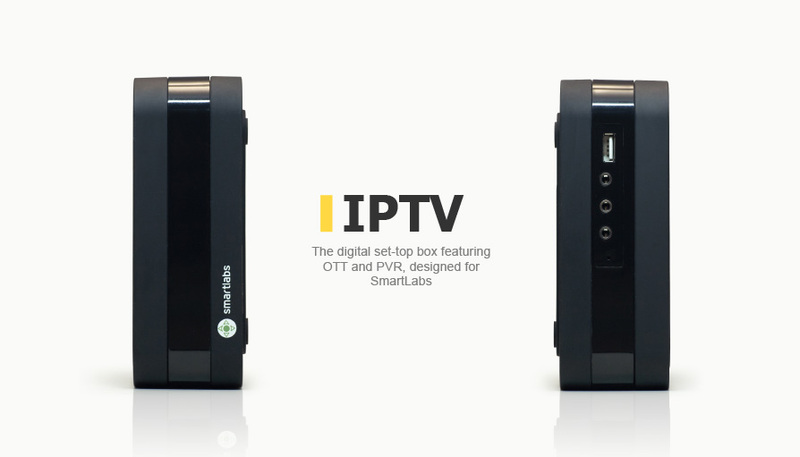 Today, our IPTV STB is available for sale and competes on an equal footing with Aminet and Motorola." The IPTV STB is equipped with a wide range of interfaces: USB for flash drives, video cameras, Wi-Fi, etc. Operators can implement popular digital TV services including video on demand, network video recorder and TV pause. IR receiver input 1 pc.